We’re starting to put together everything we can find on the Observatory’s history and background, and we need your help! We’re looking to get hold of anything which would be interesting for the thousands of visitors who come and visit us every year. From the people who’ve lived there, to paintings undertaken there, and from the history of the site before the Observatory was there, to myths and legends surrounding the cave. It’s all important stuff to brining a lot of the history and heritage back to the Observatory in the form of a museum to tell its story, and make an interesting read. A view of the suspension bridge from the 19th Century. 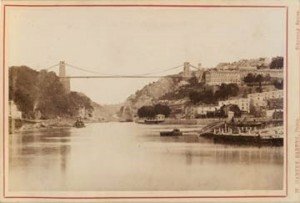 The Observatory has a rich history and a huge part to play in Bristol’s heritage, it’s played a part in the snuff trade, the art world and boasts one of the few camera obscuras left in the UK. As a landmark the building and surrounding area has been part of the Bristol skyline for over 250 years, and we want to tell its story. If you think you could have useful background information on the obscura, cave, and surrounding area, even BC, we’d love to talk to you, so please get in touch! You can email us at observatoryclifton@gmail.com or call us at +44 177 974 1242. It is good to see that someone is putting together a book about the observatory. 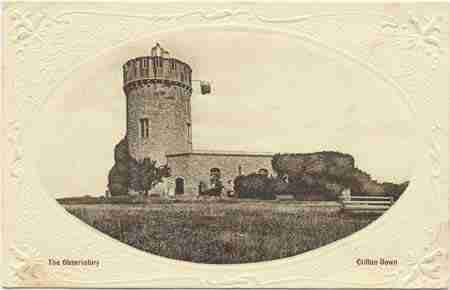 My dad worked for the Merchant Venturers for a few years in the 60’s as the custodian of the observatory. Mum, dad, my brother and I even lived at the observatory during the summer months. It was a real adventure for me as a young boy. We had a few famous visitors during the time such as Cary Grant, Sir Vivian Fuchs and President Khruschevs wife and her body guard. There were others but I cannot remember who, I was only young. I loved being there and the downs felt like my own personal garden. Always had my friends coming up to play football, cricket, hide and seek and even clamber round on the cliffs. I can’t believe some of the dangerous things we used to get up to.